Uber is like kerosene trying to mix with water. Most taxi drivers believe the hailing service is here to kill the taxi industry by oppressing other hardworking drivers. Most taxi drivers are struggling to understand why this ‘thing’ from America is taking over the market. Freelance drivers work very hard without pay since one has to leave the house on a Sunday evening and go back with only Sh500. On the other end, Uber drivers get clients at the comfort of their home. Taxi drivers together with bloggers came together to fight the startup but most drivers believe Uber is here to stay and their fight will bear no fruit. “I want these people out of this country because freelance drivers like me suffer a lot. I have an open office here at Prestige Plaza and getting work is not easy. I always depend on other employed drivers who usually loan out cars for some hours.” Explained David Wachira, a freelance taxi driver at Nakumat Prestige. David’s daily routine is unpredictable since he doesn’t have any formal employment and the fact that Uber might monopolize the market by signing all the cars makes him sick. “I have my own personal customers who trust me and I don’t think I can be controlled by an online App. I don’t even know why other drivers were convinced to sign up.” David added. David further provided that they have a taxi association known as Kenya Taxi Association. The association is like a chama where taxi driver’s welfare is catered for. However, the driver believes that the association is not coming up with a solution to solve the impending rivalry between drivers. The taxi drivers prefer an open market where they can charge customers depending on the amount of fuel they have used or judging by the physical appearance of a customer. Another issue that raised a huge debate was the fact that Uber doesn’t have cars yet they don’t accept used cars. Ordinarily, most cabs in Nairobi are not new because owners prefer doing business with an old car and the new car is left at home to take care of home chores, according to David. Besides drivers, motorcyclists got an opportunity to share their opinion. Apparently, they don’t know who Uber but they compared it with Kibo. “Kibo is an innovative Kenyan brand that seeks to provide safe and reliable mobility for all, from the base of the socioeconomic pyramid to the growing middle class, private individuals, micro entrepreneurs and all organizations.” Kibo motorcyclist, Alvin read from his phone. 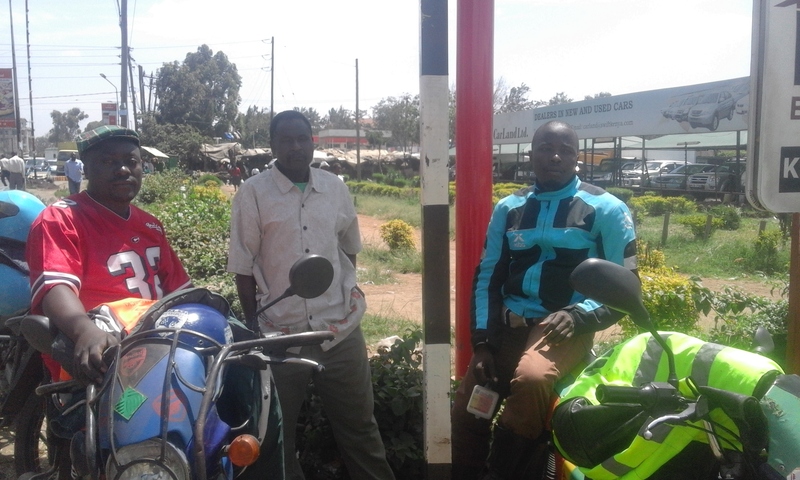 “We want investors to come in Kenya and revolutionize motorbike industry from jua kali to something lucrative. Taxi drivers should be happy because someone has decided to create jobs for them.” Morris Ochieng, a cyclist stationed at Prestige said. Mr. Omondi further provided that the proposed body should regulate Uber’s prices to be on the same level with other individual entrepreneurs.